The comments come as disquiet grows over the quickening pace of China's land reclamation programme in international waters, including its construction of a runway long enough for large military planes. 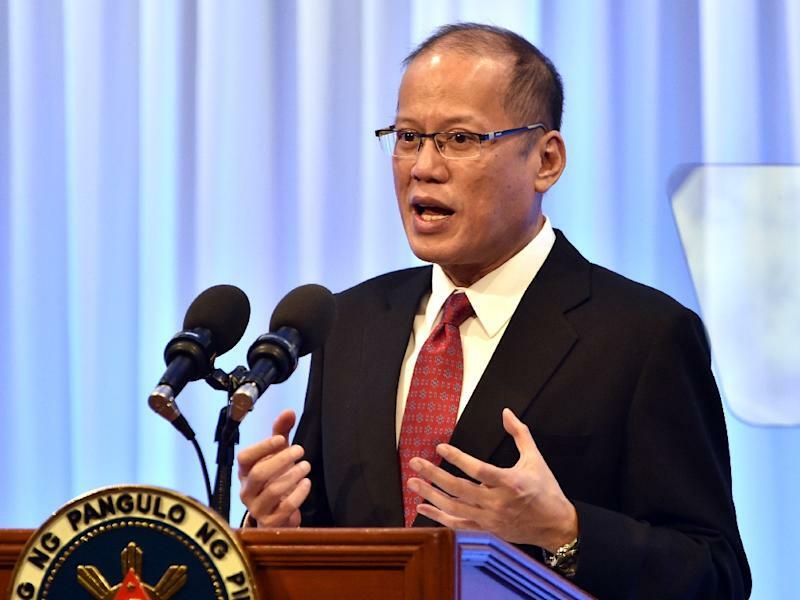 "If there was a vacuum, if the United States, which is the superpower, says 'we are not interested', perhaps there is no brake to ambitions of other countries," Aquino told an audience of business leaders in Tokyo. "I'm an amateur student of history and I'm reminded of... how Germany was testing the waters and what the response was by various other European powers," he said, referring to the Nazis' territorial conquests in the months before the outbreak of World War II. "They tested the waters and they were ready to back down if, for instance, in that aspect, France said (to back down). "But unfortunately, up to the annexation of the Sudetenland, Czechoslovakia, the annexation of the entire country of Czechoslovakia, nobody said stop. "If somebody said stop to (Adolf) Hitler at that point in time, or to Germany at that time, would we have avoided World War II?" The comments sparked anger in Beijing, where foreign ministry spokeswoman Hua Chunying said she was "deeply shocked and dissatisfied with the groundless remarks". 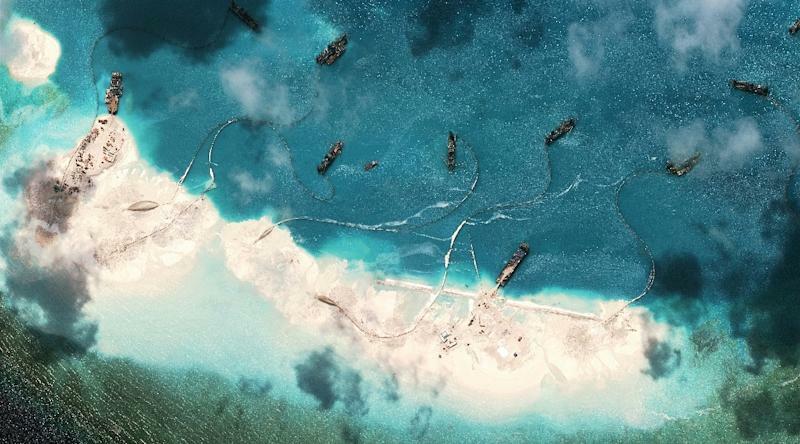 Hua reiterated the Chinese position that the Philippines has "illegally" occupied Chinese islands, adding "the Philippines keeps colluding with countries outside the region to stir up trouble and sling mud at China". Aquino, who is in Japan on a four-day visit, has previously made similar comments comparing China's actions with those of the Third Reich. “At what point do you say, ‘Enough is enough’? Well, the world has to say it — remember that the Sudetenland was given in an attempt to appease Hitler to prevent World War II,” he told the New York Times last year, provoking fury in Beijing. Aquino's comments Wednesday come after US President Barack Obama this week weighed in on the growing tensions in the South China Sea, urging regional powers -- particularly China -- to respect the law and stop "throwing elbows". 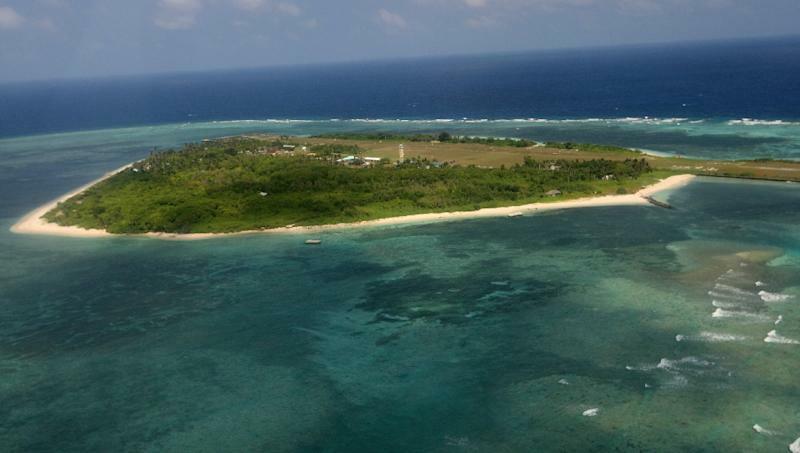 China has rejected US demands to stop all reclamation works in the South China Sea, saying it was exercising its sovereignty and using the outposts to fulfil international responsibilities. Beijing insists it has sovereignty over nearly all of the South China Sea, a major global shipping route believed to be home to oil and gas reserves, but rival claimants accuse it of expansionism. Vietnam, the Philippines, Malaysia, Brunei and Taiwan also have various claims over islets and reefs in the area. Despite its relatively weak economy and the parlous state of its military, the Philippines has been the most vocal country in the region in its criticism of China. The Association for South East Asian Nations (ASEAN), a 10-strong regional bloc, has struggled to come to a consensus, with China exploiting divisions and exercising its economic might. Washington and its Asian allies, including Tokyo, which has separate territorial disputes with Beijing in the East China Sea, have warned that ignoring international laws could threaten "the freedom of navigation". The Chinese military last month ordered a US Navy P-8 Poseidon surveillance plane to leave an area near the disputed Spratly islands in the South China Sea. But the American aircraft ignored the demand and said it was flying in what US officials consider international airspace. "The prosperity of maritime and coastal East and Southeast Asia... is at risk of being disrupted by attempts to redraw the geographic limits and entitlements outside those clearly bestowed by the law of nations," Aquino said later in an address to the Japanese parliament. He praised Japan for its post-war pacifism which "has been beyond question," adding Japan-Philippines ties were "reborn like a phoenix" after the war, in a stark contrast to his remarks on "a country that we both have had difficulties with," another apparent reference to China. Aquino is not the first global leader to make comparisons between East Asia's present situation and global conflicts of last century. Early last year, Japanese Prime Minister Shinzo Abe caused controversy by appearing to suggest Tokyo and Beijing were analogous to Britain and Germany on the eve of World War I. The Japanese government later played down the comments, which were widely reported, blaming a translator.